A great feature of Visio SmartShapes is multi-shape capability. 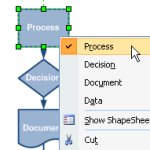 With multi-shapes, you can quickly modify how Visio shapes look via the context menu or shape data fields. This represents not only a time-savings to users creating drawings and diagrams, but also simplifies the design and maintenance of stencil libraries for solution developers. So yes, multi-shapes are cool, and they are a big part of what makes Visio cool. If you haven’t yet run into them, read on to get a better idea of what multi-shapes can do for you! The easy answer to this questions is: two. A single-shape can have two colors in its fill: a Fill Color and a Pattern Color. 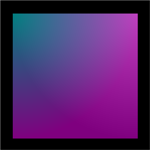 If you want more, you have to group separate, differently-colored shapes together. In fact getting more colors is one of the major reasons that shapes become groups in the first place. But if two were the actual answer, well, this article would over. 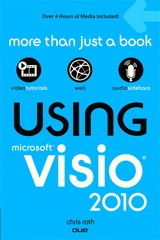 [Read more…] about How Many Fill Colors Can You Put on a Visio Shape?